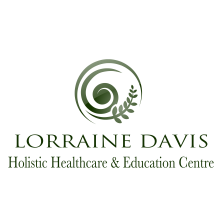 This training offers a well respected professional qualification accredited by the Federation of Holistic Therapists for membership and insurance. ​Your training will be in our traditional small group style to allow for plenty of individual attention and includes full instruction in theory and practice of ear candling as well as specific anatomy and physiology. You will study several candle types – not just the familiar ‘hopi’ candle, together with both the clinical and holistic effects of the treatment, ensuring your expertise and confidence as a candle practitioner. Teaching is over 1 day which includes practical assessment, and students then complete coursework including 2 case studies which are submitted at a mutually agreed time. This course is ideal for those who are looking for short course training in ear candling treatment and offers a certificate accredited by IPHM for membership and insurance. It is ideal as an addition to existing skills, a CPD activity, or for those who wish to use candles with family and friends. Theory is completed by supported distance learning and the classroom day covers practical skills. You will be assessed continuously to ensure safe and effective practice. There is no coursework or case studies involved in this qualification. ​Hon Past President FHT .